Micromax Yu Yureka Script: We are sharing Script for Buy Micromax Yu Yureka plus successfully from Amazon.This is easy script to Buy Micromax YU Yureka Plus.This Mobile Will Launch on 24 July 2015 officially at Amazon. As you know, This phone will be sold at flash sale, in which thousands of Smartphones are selling in just few seconds. Without script, it’s very difficult to buy Micromax Yu Yureka Plus + from Amazon Flash sale. So here is an easy way to buy this phone with an Script. After successfully launching of Micromax Yu Yupreka & Yuphoria, now time for Micromax Yu Yureka Plus (+) from Amazon. 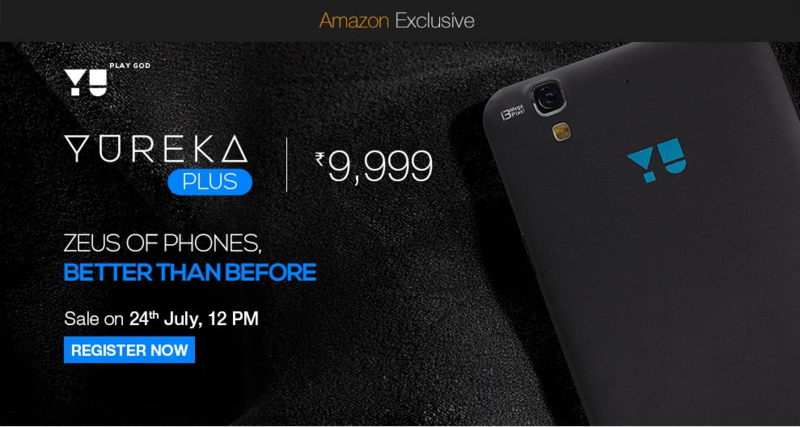 Approximate Price of Micromax Yu Yureka Plus is 9,999 rs from Amazon. This phone comes with 2 Different colors – MoonDust Grey & Limited Edition White. This Phone’s Display is Full HD resolution. This phone comes with inbuild Corning Gorilla Glass 3 Protection, in which it may cause less scratches on Screen. This Phone also Supports OTG, in which you can attach External Memory cards, Pen drives, Hard disks, Mouse, Keyboards or Gamepad & any USB Device. This Phone comes with 64 Bit processor, which will give you ultra boost performance. After Successfully Subscribe, Open Sale Page at 24 July 2015 before 12:00 p.m.